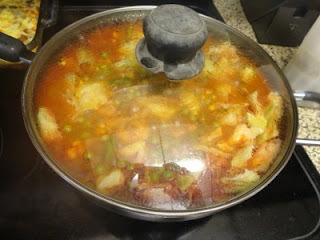 AMY'S ORIGINAL BRIDAL HANGERS: SUNDAY COOKING! Sundays seem to be our day to play catch up and to cook a nice dinner. We have been trying to eat healthier....We actually have been trying to do this for quite some time. I really prefer to eat meals which we make either from fresh or frozen ingredients. Today's dinner was vegetable soup. We have not made this for awhile. It turned out pretty good. We actually have enough left over for tomorrow's dinner, and are freezing the rest of it. We start with a nice roast. My husband cut it up in to bite size pieces. He seared the meat. He added onions, garlic, beef bouillon, and water. The meat was cooked until tender. Then mixed vegetables, tomato juice, and chopped cabbage were added. Then it was cooked further until the cabbage was tender. It takes a bit of time to make, but is surely worth the wait! 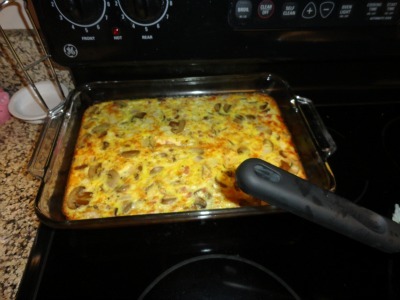 While the vegetable soup was cooking, my husband began cooking our weekly quiche. This recipe is quick and easy to make. The nice thing about a quiche is it is easy to grab in the morning. It is also good for lunch too. We make it using eggs, onions, mushrooms, mozzarella, and meat. We like either ham or sausage. We begin by whisking the eggs. This quiche was a double batch. We normally use either 6 or 8 eggs. 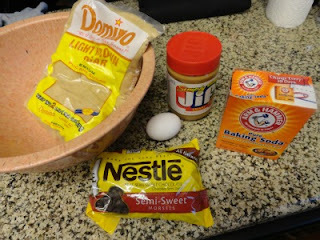 Then we add in the other ingredients. There really are not measurements for the remaining items. It is whatever you like. The items you put in your quiche are up to your own liking too....Cook it for 30 minutes at 350 degrees. It is pretty yummy too! 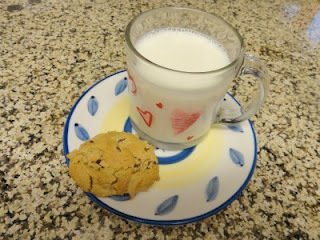 My final cooking for the day was making my favorite peanut butter chocolate chip cookies. They are flour free and gluten free. Just the thing to curb your sweet tooth. 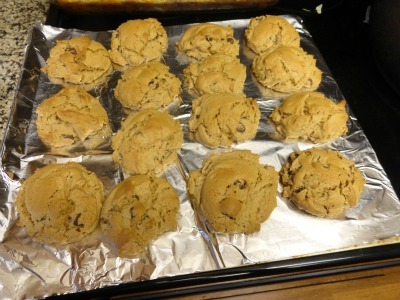 Not only are they easy to make, but taste great! They only include a few ingredients. Many recipes have so many items needed to make them, it not only costs a fortune, but takes a long time to make. What you see is what you need. 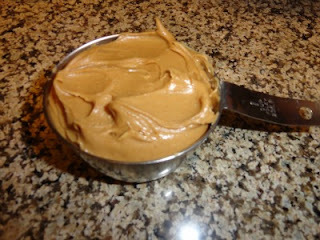 I begin by measuring out a cup of peanut butter. My favorite is the low carb Jiff. You can use whatever your favorite kind of peanut butter is. The original recipe calls for 1 cup of light brown sugar. I am trying to watch the sugar content. 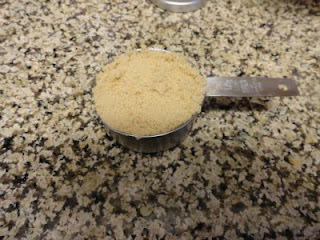 I tried to use 1/2 cup of brown sugar and 1/2 cup of Truvia. 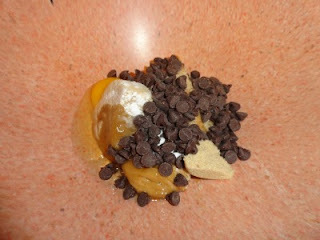 I am not crazy about the after taste, so I just cut the brown sugar in to 1/2 cup. They still taste great! You need 1 teaspoon of baking soda. 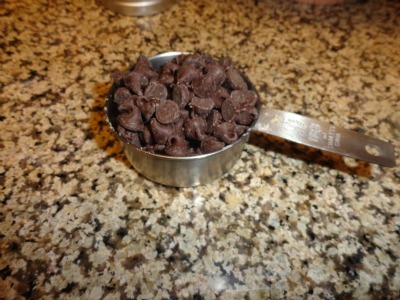 Tonight I used milk chocolate chips. I really like to use sugar free dark chocolate chips, or regular dark chocolate chips. I bought the milk chocolate kind due to the store not having the dark chocolate kind. Your preference is fine. Use which type you like. I put in a 1/2 of cup of chips, but you can use whatever you want. Basically, I just place all of the ingredients in to one bowl. Mix and until smooth. This is quick and easy. Not much stirring is necessary. 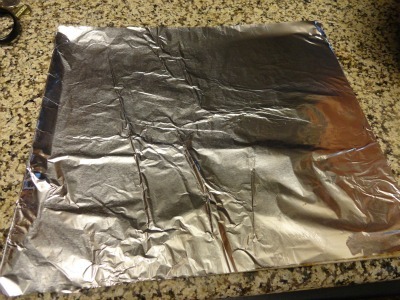 I place aluminum foil on my baking sheet. 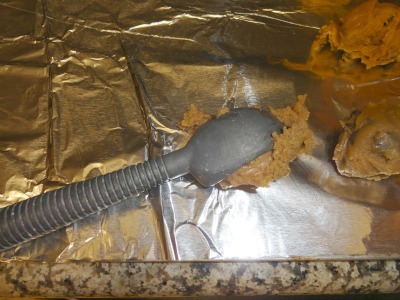 I use an ice cream scooper to place my cookie dough on the baking sheets. I use a spoon to pull the dough out of the scoop. I do not smash the cookies down. They will spread on their own while baking. They are now in the oven. Preheat the oven at 350 and bake for 10 to 12 minutes. It just depends on your oven. 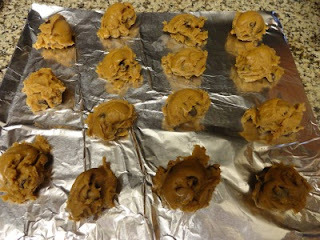 I would set the timer for 10 minutes, check them and bake a little longer if they are not brown yet. They are fresh out of the oven. 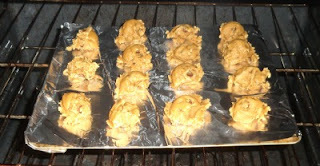 They need to cool a bit before removing from the baking sheet. 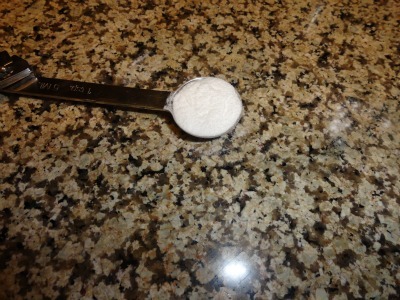 They tend to be soft in the middle for a little while after baking. I normally place them in the freezer after they cool. I just love them frozen, but it surely is not a must. Up to you! I cannot wait to take a bite! My favorite way to each cookies is to plunge them in to my glass of milk. Then I eat them with a spoon. Yum! Yum! Yum! 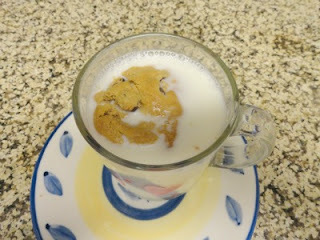 If you try the cookie recipe I would love to know what you think. Feel free to leave a comment. I would love to hear from you!